Named after a Saint Wenceslas I, Duke of Bohemia, this helmet is supposedly modeled after the one he wore when he defended Bohemia against the Mongol armies. And that is very likely as this St. Wenceslas Helmet is simple and yet ruggedly effective. Patterned after the traditional Norman style of helmet, this helm features a convex top with a subtle central ridge, which serves the purpose of diverting force and blows away from the top of the helm and down its sides. The helmet also features a gold-colored reinforcement along the front of the helm, which makes up the nose guard, which has been faintly engraved. 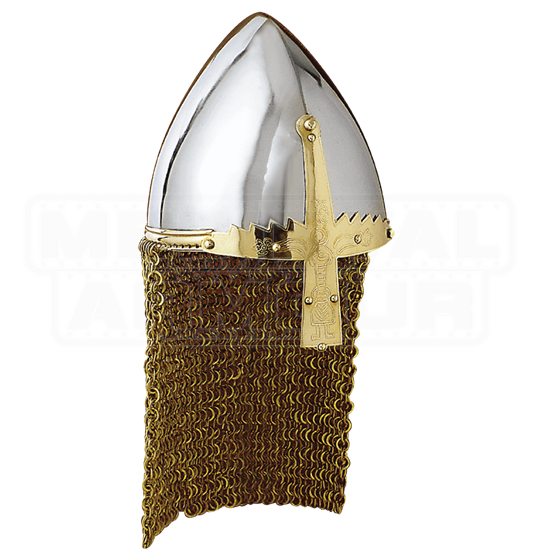 Attached to the back of the helm is a gold colored chainmail cowl for added defense. The statue of Saint Wenceslaus in Prague wears a helmet of this type. The helmet is made from quality metals, while also featuring room to accommodate additional padding if need-be. 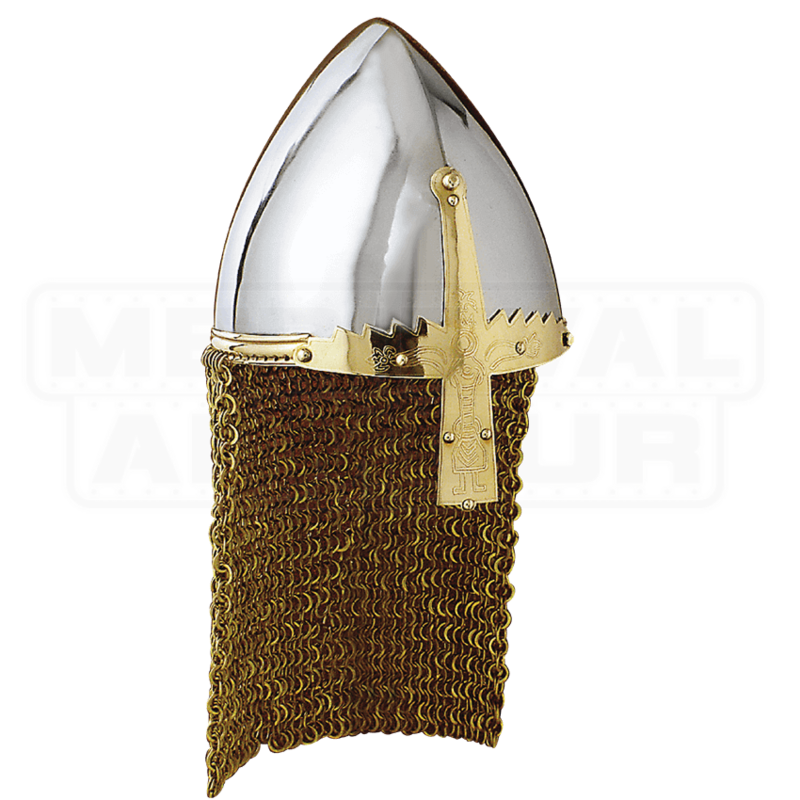 Simple and effective, this St. Wenceslas Helmet is the perfect choice for a regal warrior riding into combat, as well as a fantastic piece to display as a part of your own collection of arms and armors.